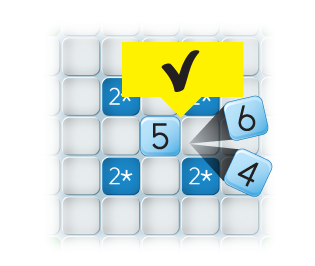 Yushino is a crossword game with numbers. Easy to learn, easy to play - but epic battles are sure to ensue when you try to beat your friends at it! If the sequence has 3 or more numbers, every number is the sum of the previous two numbers - but we only use the last digit of the sum. For example, if the previous two numbers are 6 and 7 then since 6 + 7 = 13 the next number must be 3 (we ignore the first digit, "1"). Other valid Yushino sequences are 875, since 8 + 7 =(1)5; 7291, as 7 + 2 = 9 and 2 + 9 = (1)1, etc. If the sequence has 2 numbers, the numbers must differ by 1 - but keep in mind that the numbers repeat, so we go from 0 to 9 and then back to 0 again, which means that 9 is next to 8 but it is also next to 0. 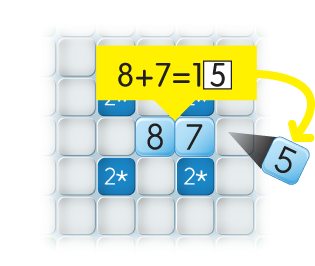 Examples of valid two-number sequences are: 56, 87, 90, 09, 98, etc. Here are the official rules. And here is a demo. Do I have to count all these? 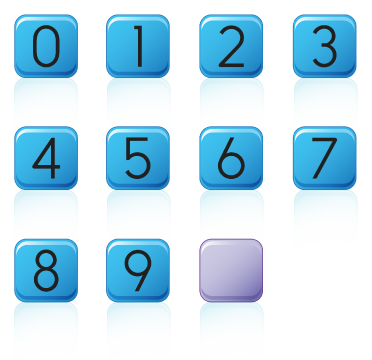 the first two numbers that you place may not be valid by themselves, but the third number you place might make them valid! For example, if you place [5 2], then the sequence is not valid by itself yet, because 5 and 2 differ by 3 instead of by 1 (according to the second rule). But, if you then place 7, you will have [5 2 7] which is a valid sequence according to the first rule, since 5 + 2 = 7. In that case the score bubble will not show up until you place the 7. Play with a Facebook friend, choose a random opponent, invite a friend by email or Yushino username, or pass the phone (or tablet) and play with a friend. Shuffle the numbers in your rack by shaking your device. When you've placed your numbers, tap play and we'll send your move to your friend. You might want to try the Coach. She's going to tell you how good your sequence is - and she won't rat on you either! You can exchange your numbers if you don't like them, but you will lose a turn. 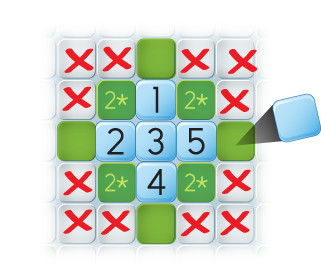 You cannot exchange numbers in two consecutive turns or if there are less than 7 numbers left. But maybe before you exchange numbers you might want to check what's left in the bag. While you're waiting for their move, chat your friend up; who knows, maybe it breaks their concentration! Or start another game - hey, it's free! All your current games are listed in your main screen. First the games where it is your turn to play, then the ones where it is your friends' turn. If your notifications are enabled in your phone's settings, we will send you a notification when it's your turn to play. If your friends are taking too long to play you can send them a reminder. How many numbers in the bag? 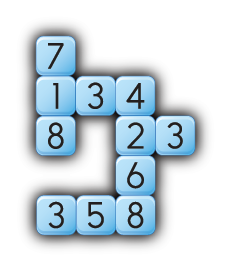 For each sequence you create you add the score for each number. The score for each number is the number itself (so an 8 scores an 8 and a 0 scores a 0) and blanks score 0 points regardless of what number you make them to be. You get a 100 extra points if you play all 7 tiles in one move! 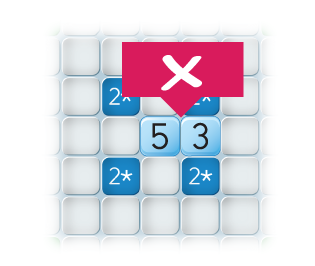 Play sequences on the colored squares on the board to get bonus points. 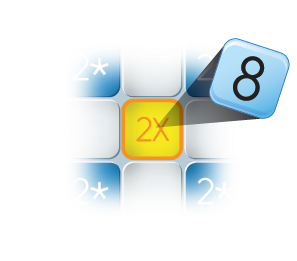 Try combining more than one bonus squares to get your numbers multiplied more than once. use "pass" 3 times in a row. 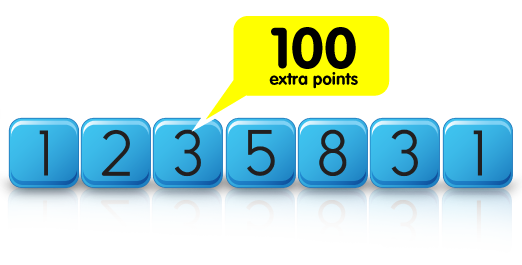 If you use up your numbers first, you get the numbers in your friend's rack added to your final score, and your friend has them subtracted from their score! Numbers can be placed so that multiple new sequences are formed simultaneously using neighboring numbers. You'll score points for each new sequence created during a turn! You can end a game early if it's your turn by tapping "Resign"
If it's not your turn and your friend stops playing the game - even after you've reminded them repeatedly! - they will be resigned automatically after some time. Use Settings to change or create a Yushino username or password, or to update your email or cell number, or log out of your account if someone else wants to log in on your device.